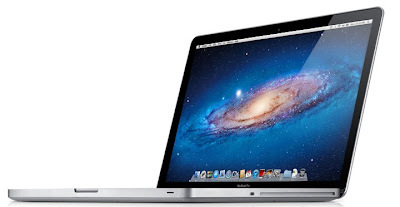 Apple has updated it MacBook Pro line-up without much fanfare. The 13-inch MacBook Pro now comes in 2.4GHz and 2.8GHz Intel Core i5 processor, as opposed to the previous line up of 2.2GHz and 2.4GHz. Prices are the same. Storage has also been increased from 320GB or 500GB to 500GB and 750GB. The 13-inch model is the one of interest to readers of this site. We were hoping Apple would trim the weight of its 13-inch MacBook Pro, which at 4.6 pounds feels a bit heavy compared to its direct competitor the 3.8 pound Sony Vaio SB. The 15-inch and 17-inch MacBooks Pro's have also received processor and storage upgrades, as well as faster graphics, all at the same price.